Each year in the spring, the world’s most prestigious watchmakers switch to Basel time. The Swiss city on the Rhine welcomes Baselworld, the industry’s premier showcase and the largest watch fair. Professionals, retailers, journalists and timepiece aficionados all flock to the event to marvel at the latest movements and grand complications. 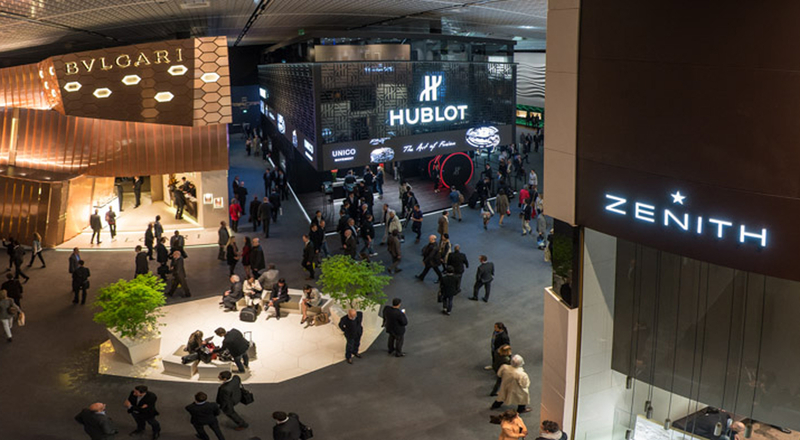 This year’s show again drew over 100,000 visitors to the booths of Baselworld. We invite you to discover the inner workings of the Swiss watchmaking industry in a series of five articles featuring LVMH brands. After a presentation of the Baselworld show you’ll have a chance to see the latest new creations presented this year by Hublot, TAG Heuer and Zenith, as well as Bulgari, Dior and Louis Vuitton. Production is a decisive success factor for the Swiss watch industry and a top priority for all our Houses. TAG Heuer CEO Stéphane Linder talks about the importance of production for his company, which opened a new manufacture in 2013 at Chévenez. Zenith then puts the focus on another essential component, transmitting unique savoir-faire and training of master watchmakers. Jean-Claude Biver, President of Hublot and one of the industry’s most emblematic figures, was recently named head of the LVMH Watches business group (which comprises Hublot, TAG Heuer and Zenith). He shares his vision of the watchmaking industry and the key challenges ahead for our Swiss brands in a video interview that took place just prior to Baselworld at the Hublot manufacture in Nyon.